A mysterious murder in Nebraska, the Alaska Gold Rush, muckraking politics that lead to the suicide of an American hero and the ambitious, wealthy men vying for control of Alaskan business and industry at the turn of the century. This is the true story of three men who were prime movers in the most ambitious of the early twentieth century Alaska development initiatives, the J. P. Morgan - Guggenheim Alaska Syndicate, which built the famous Kennecott Copper Company and the Copper River & Northwestern Railway. George Cheever Hazelet (1861-1926) came north in 1898, fell in love with the land and stayed to mold modern Alaska. Hazelet and his partner dragged sleds over Valdez Glacier and discovered gold in the Copper River country. Although his mining venture failed, Hazelet's vision for Alaska spurred him on to plan railroads and build cities where families like his could live better lives. Both Cordova and Valdez can claim Hazelet as a founder. Stephen Birch (1872-1940) crossed Valdez Glacier in 1898 with the Abercrombie expedition. He made his fortune in copper rather than gold. With unflagging persistence and the help of wealthy friends, he succeeded in building the highly productive Kennecott Copper Mines. When political antagonists blocked plans for further industrial development, he used the profits from the Alaska mines to found a powerful international corporation. In 1938 he founded the Stephen and Mary Birch Foundation, Inc. to support health service, hospitals and civic organizations. His legacy lives on by providing major funding for the Stephen Birch Aquarium-Museum at the University of California, San Diego and the Stephen Birch Healthcare Center at Sharp Memorial Hospital, San Diego, CA. Captain David Henry Jarvis (1862-1911) gained an understanding of Alaska's potential while serving in the Untied States Revenue Marine. His bravery and executive ability earned him nationwide acclaim and the respect of President Theodore Roosevelt, but made him the target for vicious muckraking and drove him to commit suicide. President William McKinley recognized his achievements of bravery by awarding him a Congressional Gold Medal in 1902. Elizabeth Ann (Betsy) Tower, MD was born August 1, 1926, in Cleveland, Ohio, and died September 27, 2010, at her home in Anchorage at the age of eighty-four. After completing their medical residencies in 1954, John and Betsy Tower braved the Alcan Highway and set up John's pediatric practice in their first home in Anchorage. They were enthusiastic supporters of the statehood movement. With pilot's licenses and a spirit of adventure, the Towers enjoyed hunting, fishing, and exploring Alaska. Their friendships with many other young couples newly arrived in Anchorage during the 1950s lasted their lifetimes. They reveled in the challenges and opportunities of Alaska's first fifty years of statehood while raising their four children. Betsy served as public health officer for the Alaska Division of Public Health for twenty-five years, supervising public health nurses in South Central Alaska, Southwestern Alaska, and the Aleutians. She traveled widely in Bush Alaska and developed a statewide vaccination program for hepatitis B. Upon her retirement from the Alaska Division of Public Health in 1986, Betsy pursued her longstanding interest in history and writing. Her monographs about Stephen Birch, Mike Heney, Sheldon Jackson, Austin E. 'Cap' Lathrop, and William Egan explored the legacy of entrepreneurs and adventurers who shaped Alaska. 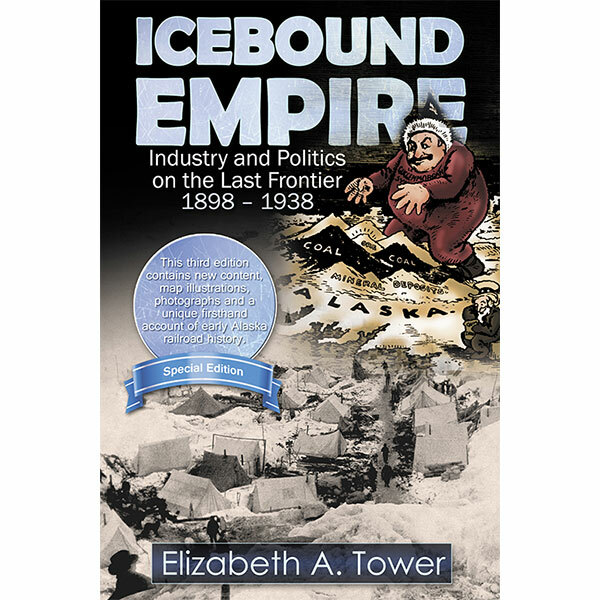 She received the Alaska Historical Society's 1996 Historian of the Year award for her book Icebound Empire. Her longstanding interest in Canada led her to write Over the Back Fence: Conflicts on the United States/Canada Border from Maine to Alaska. In 2010, Betsy was inducted into the Alaska Women's Hall of Fame, which celebrates women who have shaped the state. She led a full Alaskan life.